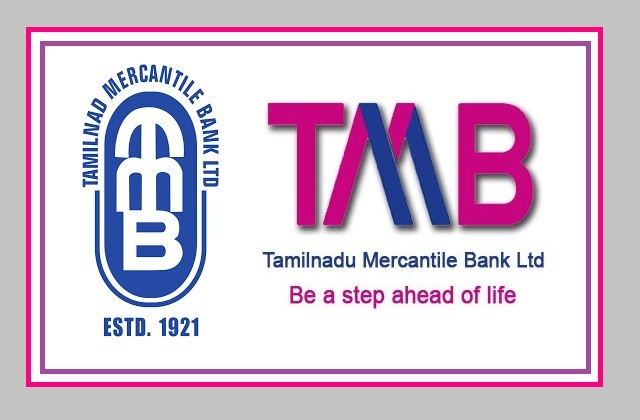 TMB-Tamilnad Mercantile Bank Limited Recruitment 2017-2018 Application Form, Chief Security Officer, Assistant General Manager (AGM) Posts. TMB Bank Jobs Candidates are requested to Download Application through Official website www.tmbnet.in. The last date for submission of applications is 09.12.2017. TMB Bank Recruitment 2018 AGM, Security Officer Jobs. TMB Bank pattern of examination,Syllabus, Question Paper, Admit Date Release Date, Bank Exam Date, Result Date etc. The stipulated criteria before Applying Online. Experience: He should posses knowledge in handling technological gadgets available in the market for security purpose. Chief Security Officer (Scale - IV) - Rs.80,000/- per month. (iv) Caste and attested copies of relevant documents should be addressed to “The General Manager, Human Resources Development Department, Tamilnad Mercantile Bank Ltd. Head Office, # 57, V. E. Road, Thoothukudi 628 002.” by post so as to reach us by 09.12.2017.